The quality, clarity and brightness of amusement park attractions, video and image-intensive shows, and exhibitions and virtual design applications have taken a significant leap forward with the introduction of the new Christie D4K2560 and Christie D4K3560 projectors. The new D4K models are the first projectors to combine 4K resolution, high frame rates at 60 frames per second (fps) and 3-chip DLP technology. Both the Christie D4K2560 (25,000 centre lumens) and Christie D4K3560 (35,000 centre lumens) provide razor-sharp image detail – and video with smoother motion and transitions – for unsurpassed image quality and a more vibrant and appealing visual experience. The new projectors replace the Christie D4K25 and D4K35, respectively, and are perfect for any application requiring 4K, 60 fps, 3-chip DLP projectors with high brightness. “Christie is the only manufacturer providing full 4K (4096 x 2160) resolution at 60 Hz and the reliability and image clarity of 3-chip DLP all in one package. Both projectors are a quantum leap forward in video image processing and a breakthrough in high frame rate and high resolution video projection,” said Mike Garrido, senior product manager, Business Products, Christie. 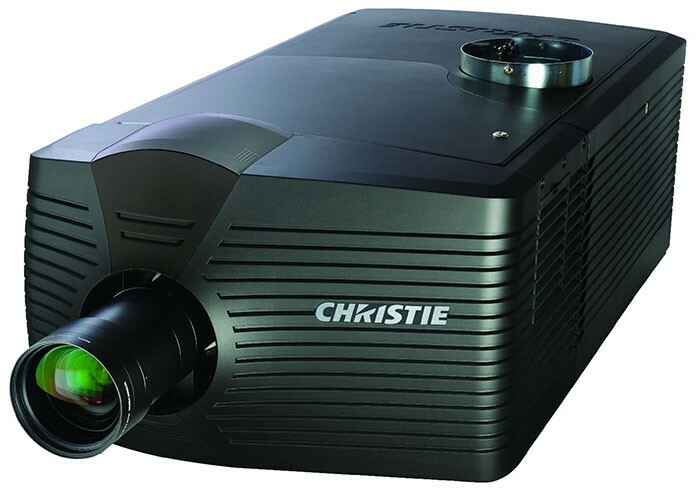 The Christie D4K2560 and Christie D4K3560 projectors are the first of Christie’s new TruLife Electronics platform that offers customers superior image and video quality for the most comfortable and realistic viewing experience. Additionally, the units come equipped with 3G SDI, Display Port, and DVI/Dual Link DVI inputs, so Christie customers can update their existing sites for future projects without the constraints of SDVI inputs. “Customers such as automotive designers and amusement park operators will love the increased dynamic range and the highest fidelity content with immaculate, deep, and vivid colour transitions,” Garrido continued. “Amusement parks, for example, are open all day and well into the evening seven days a week and the combination of 4K, 60 Hz and DLP reliability can manage the heavy workload with smooth, crystal-clear video content much longer than what has previously been available. The Christie D4K2560 and Christie D4K3560 have a three-year parts and labour warranty and ship from June 2013.